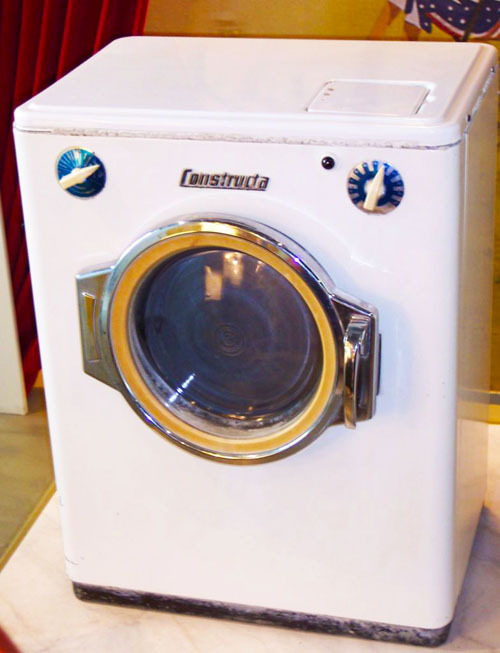 Do your appliances look a bit outdated or mismatched but still in good working order? Sure, you could go out and replace them all but that expense is often prohibitive. A far better solution is to paint them. As you might expect, the procedure is not the same as painting exterior siding or interior walls. Curious? Read on. Some appliances are designed to heat, such as the oven or radiator. For these youll need to buy a specialty heat-resistant paint thats engineered to withstand higher temperatures. If your goal is to unify the color of your various appliances while hiding nicks or discoloration, consider painting them with appliance epoxy paint. Its easy to apply and is a self-priming paint, can be either brushed or sprayed. Youll find that all of the standard appliance colors are available. You most likely will not find appliance paint in much more than standard white, black, or silver. So, if a differt color is what you are after you can widen your selection to gloss spray paints. But since these are not specifically designed to cover appliances, you will need to cover it with an enamel gloss protective spray. Practice Safety and Good Housekeeping. Remember that electricity and liquids do not mix. Unplug the appliances you will be painting. Have a respirator or dust mask on hand. Put down drop clothes and tape sheet plastic to any surfaces that might catch over spray. Remove Hardware and Clean Thoroughly. Use ammonia or another grease-cutting product to clean the surface. Be sure that you have adequate ventilation since many of these products are unhealthy to breathe. Its helpful to place a fan to draw the air away from the work area. The existing surface of your appliance is very smooth and slick and this will inhibit the new paint from sticking. The surface needs to be a bit rough rough so the new paint will have something to grab onto. Start with steel wool and finish with 150-grit sandpaper. You are not trying to remove the old paint coat, only to achieve a clean, matte feel. Finish by removing all the dust with a damp rag. It pays to take your time with this step. Basically you want to cover anything that wont be painted. This includes logos, non-removable hardware, and things like refrigerator door gaskets. After all the preparation this final step might very well seem anticlimactic. But thats OK; this is where all your careful, hard work pays off. Although it is possible to roll or brush the paint on, spraying is highly recommended for a factory-like finish. Shake the paint can often as you go. Hold the can vertical and keep it approximately 12 inches from the surface. Go from left to right or right to left with a slight overlapping of edges. Dont overdo it to get complete coverage—you will go back over it as many times as needed until satisfaction is achieved. The previous coat should be dry before applying the next. Do you have any lessons-learned or tips from you appliance painting experience? Share them with our readers in the comment section below!